Monteverde is a division of YAFA pen company corporation. 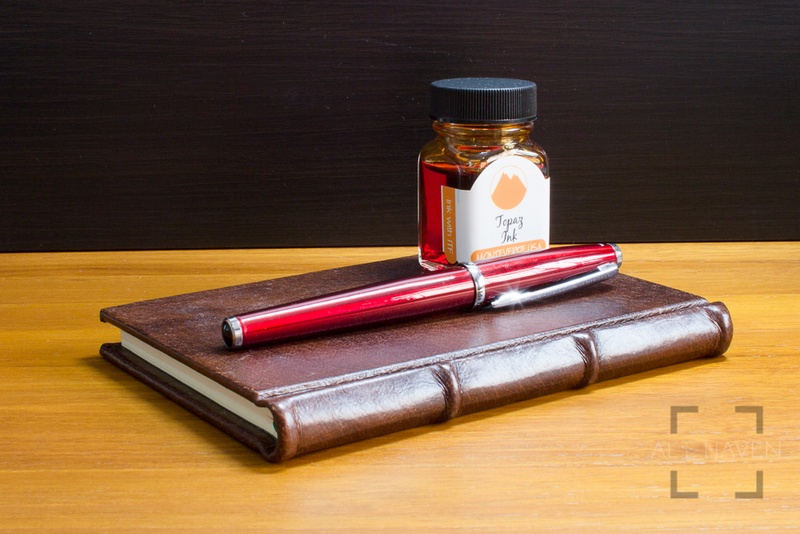 They make fountain pens as well as inks. 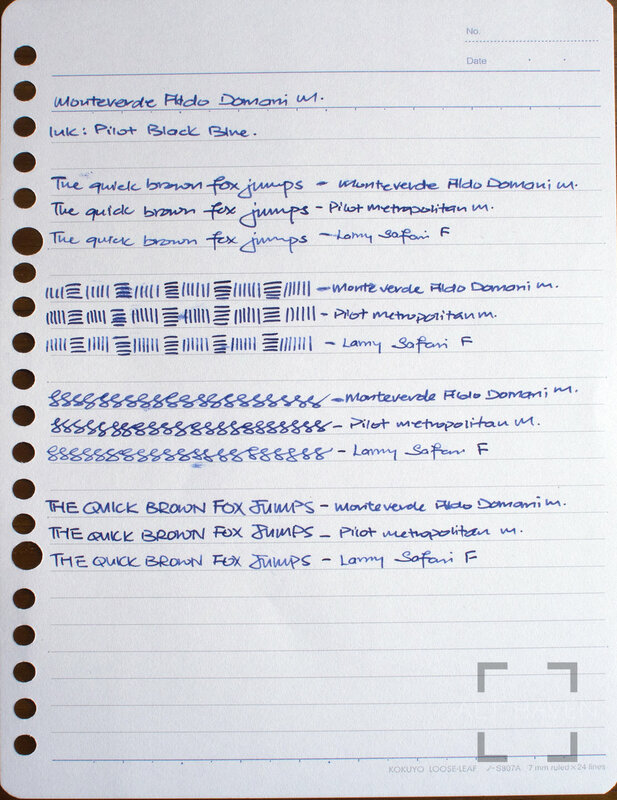 This is my first experience with Monteverde fountain pens. The Aldo Domani is obviously designed to appeal to the corporations. It looks extremely suited for corporate gifts where the company logo or name is printed or etched on the pen body. 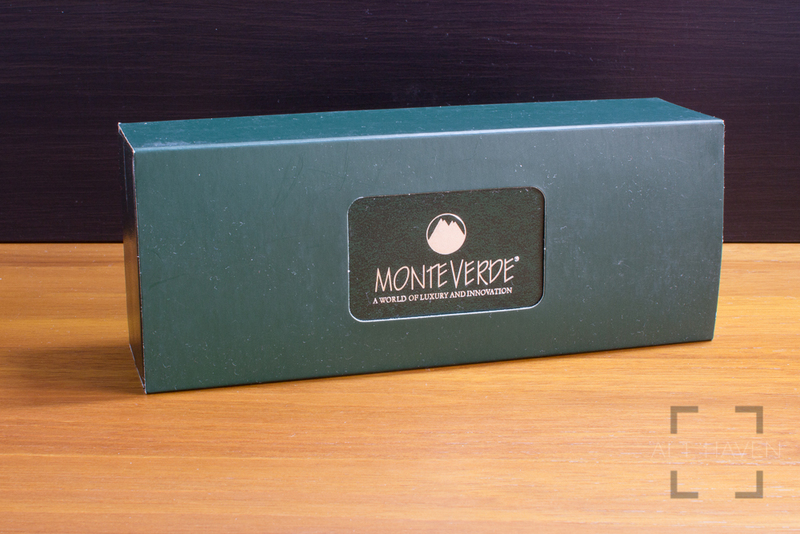 It comes in the standard Monteverde packaging. A green cardboard sleeve around the snap case green box that has the Monteverde logo on it. 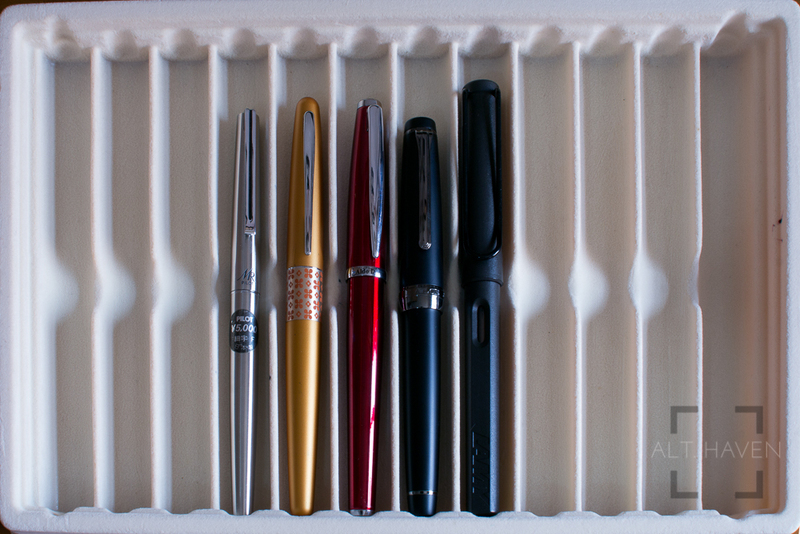 Opening the snap case, the pen is nestled among the faux satin fabric. Inside, you can find 2 short standard international cartridges, along with papers. The Aldo Domani comes in a varieties of colours and I opted for the red. It is has a silver clip and centre band. The branding on the pen is subtle and minimal. 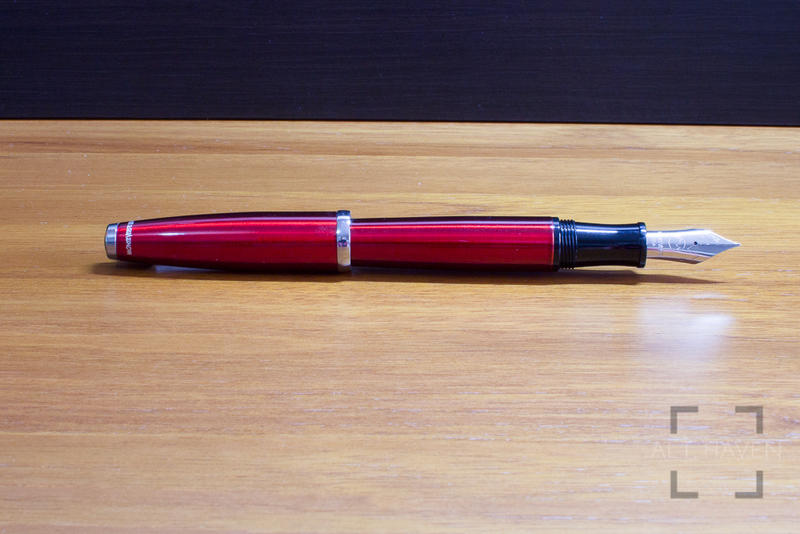 The Aldo Domani has red shiny plastic sheathed over a metal interior core, that gives it a nice heft to the pen. More on that later. The clip is leaf shaped - albeit an elongated leaf. It is stiff and not easy to slid over anything but the thinnest of paper. Frankly, it is too stiff for my liking but I don’t make it a habit to clip it over my notebooks. The cap screws off in less than a single turn. 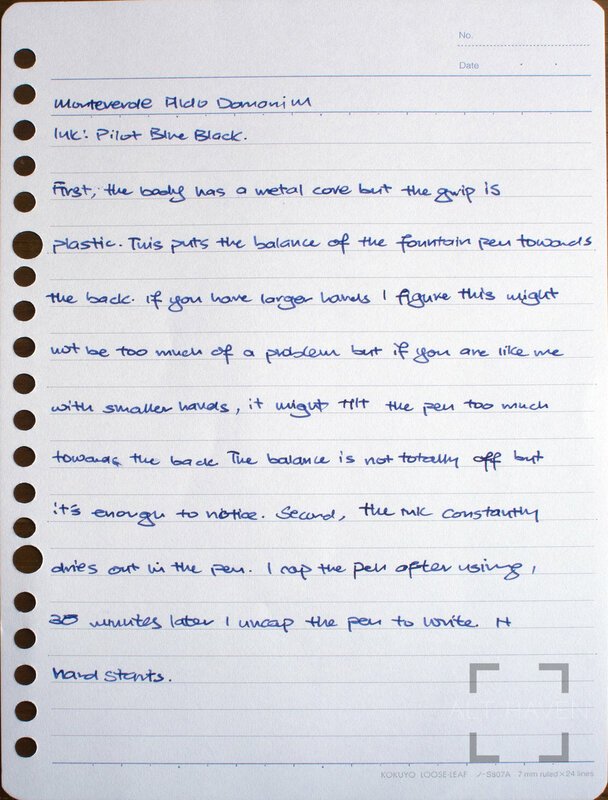 That’s really nice so it makes for easy note taking. More on that later too. 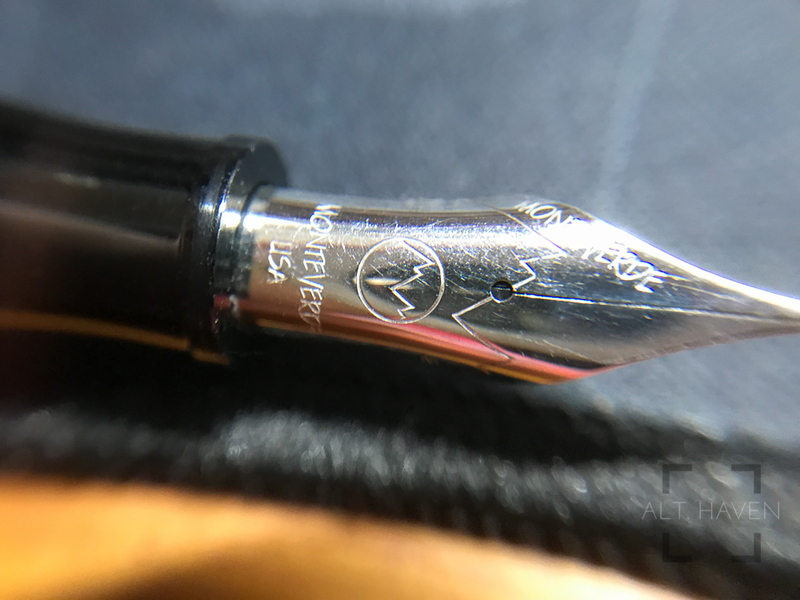 Once the cap is off, you can see the black plastic grip section and the good size stainless steel nib. The grip section is nice and long, plenty of space for your fingers to hold onto. The threads are smooth and the step was minimal. The Aldo Domani takes a standard international cartridge and converter so there are plenty of inks readily available in that format. First, the body has a metal core but the grip is plastic. 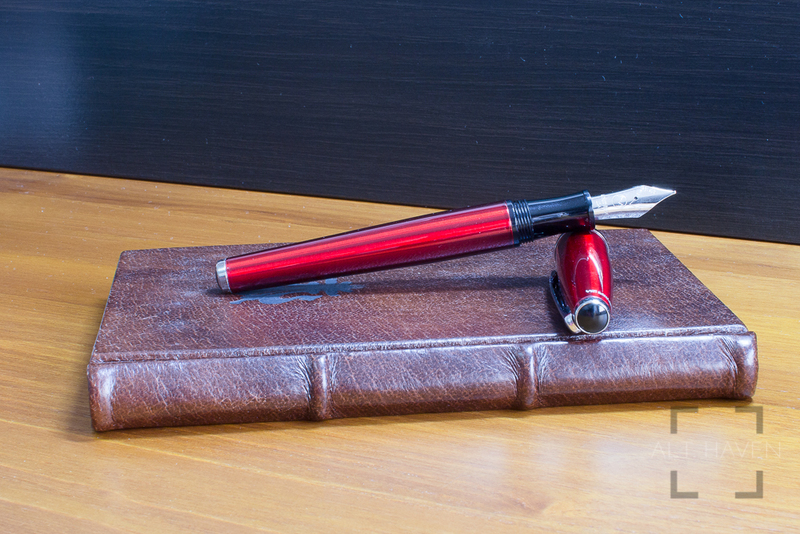 This puts the balance of the fountain pen towards the back. If you have larger hands I figure this might not be too much of a problem but if you are like me with smaller hands, it might tilt the pen too much towards the back. The balance is not totally off but it is enough to notice. Second, the ink constantly dries out in the pen. I cap the pen after using, 30 minutes later I uncap the pen to write, it hard starts. If I wait longer, like the next day, I have to prime the feed again to get the pen to write. This is a terrible flaw. It makes for a very frustrated user at the best of times. Finally, when you get the Aldo Domani to actually write, it writes very dry. I filled it with one of the wettest ink I have, the Bungbox 4B and still there is a feedback there that isn’t entirely enjoyable. 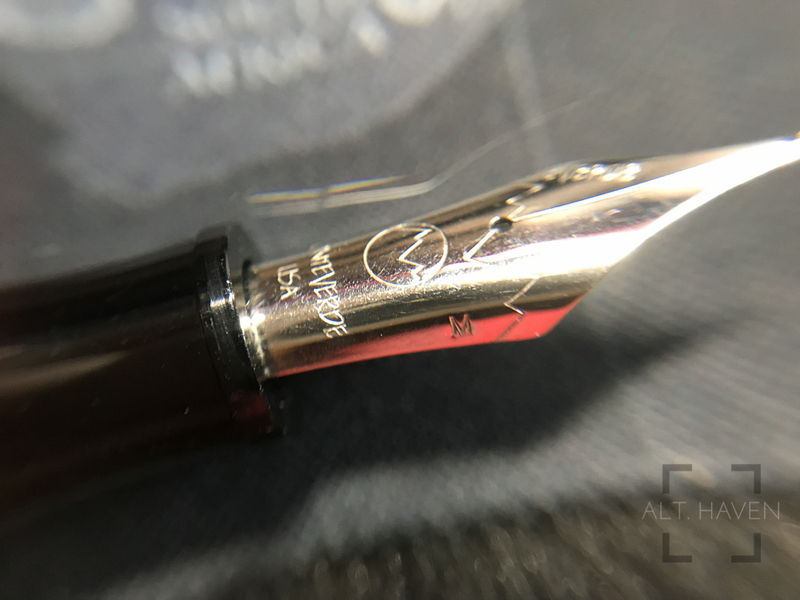 The stock nib could use some adjusting especially in terms of the wetness. 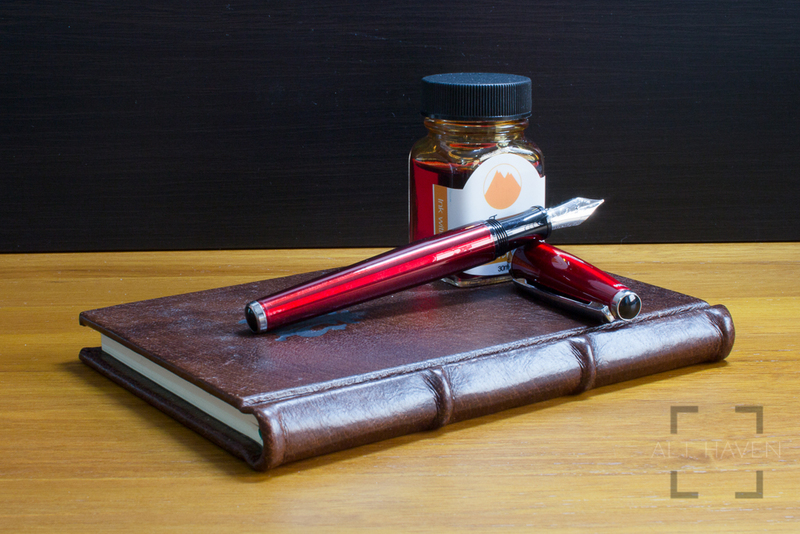 Personally I cannot recommend the Monteverde Aldo Domani to anyone. It just doesn’t write well, leaving the balance issue aside. 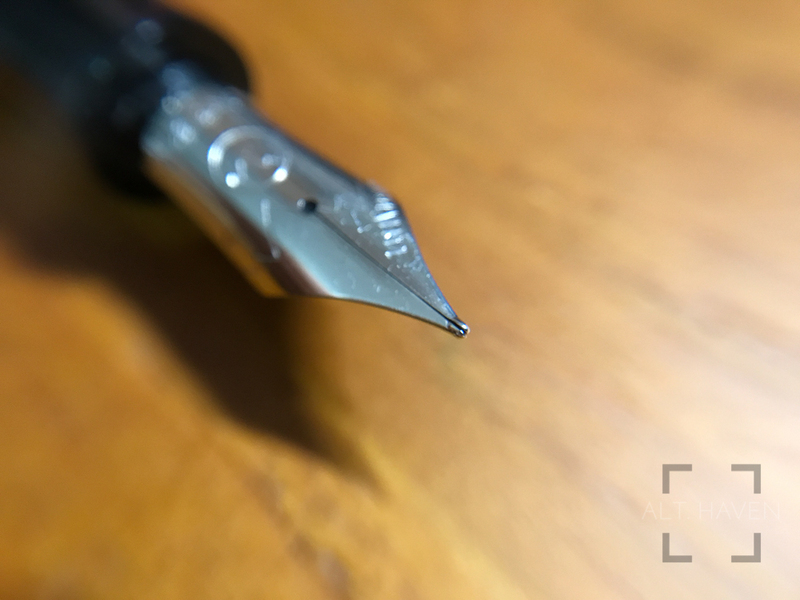 The fact that the ink just dries up in your pen when capped is a deal breaker. 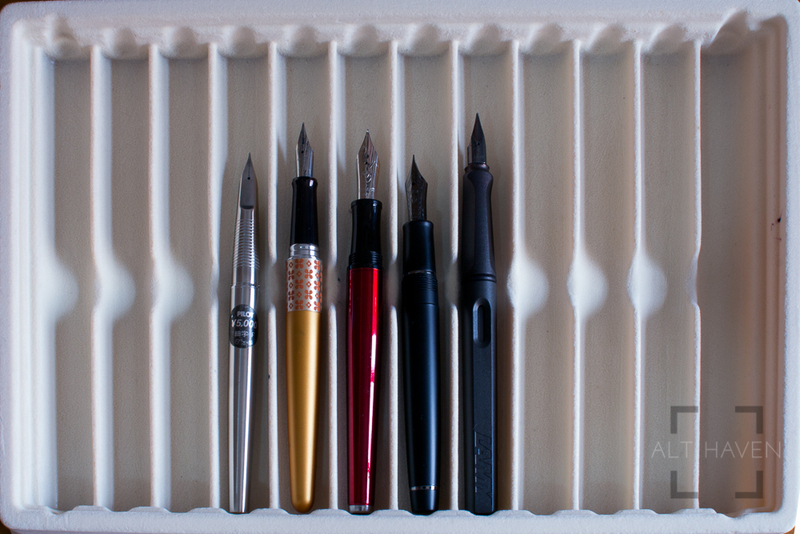 There are better pens at a similar price point and design out there, seek those.